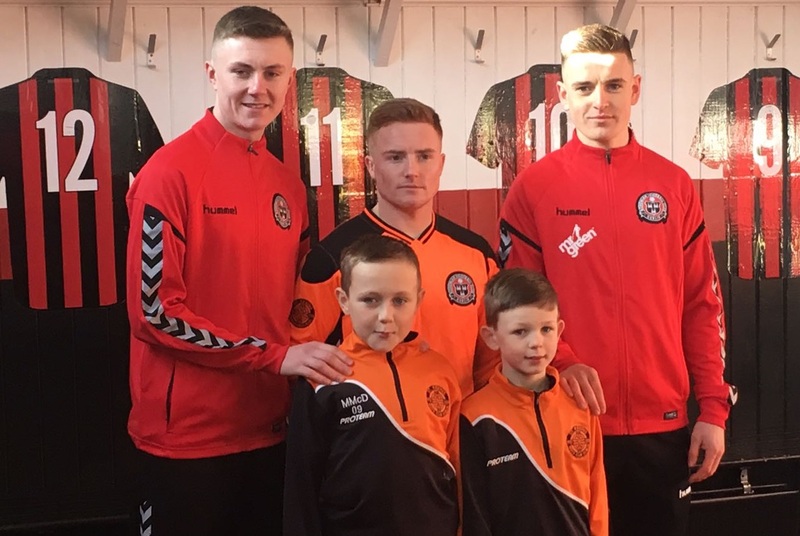 Bohemian FC and St Kevin’s Boys FC today formally launched our pathway partnership. Under the agreement, the clubs will enter a joint team when the 2018 SSE Airtricity U15 League season kicks off in March. The team will be managed by Ger Browne, supported by his backroom team of Glen Byrne and Greg Donohue. This arrangement will be extended to U13 level when the new SSE Airtricity U13 League commences in March 2019. It brings together the League of Ireland’s oldest club and the country’s most famous schoolboy club. Both have a proud tradition of nurturing talent. Ireland’s most recent senior international squads are a testament to that. They featured two former Bohs in Stephen Ward and Matt Doherty and the established former St Kevin’s duo of Robbie Brady and Jeff Hendrick. Today, as well as looking forward to the shared future of both clubs with excitement, we also highlighted our already-existing links. These are most evident in the make-up of the 2018 Bohemians first-team squad. Six of Keith Long’s players once donned the famous tangerine shirt of St Kevin’s as schoolboys: Phillip Gannon, Jamie Hamilton, Darragh Leahy, Karl Moore, Keith Ward and Dylan Watts. The St Kevin’s DNA also very much runs through the squads of Graham Lawlor’s SSE Airtricity U19 League champions and also Jimmy Mowlds’ SSE Airtricity U17 League runners-up. Bohemian FC President Chris Brien said: “On behalf of the board of management of Bohemian FC, I would like to say how pleased we are to enter into this partnership. “I believe it is a perfect match between a club with a great history in schoolboy football and the oldest senior club in the state, one with its own wonderful history over 128 years. “While our elite section has been successful to date with our previous link to the NDSL, I believe we can move to a different level with this partnership. “St Kevin’s have produced a number of outstanding players over the years and this partnership gives a clear pathway for their players to go from schoolboy football, through the elite teams all the way into the senior team. It also means that Bohemians are getting excellent young players at all levels. It is a definite win-win situation for both clubs. “Players will also win. They can now see their future stretch before them and there is no rush to try and get a move abroad. They can remain in Ireland, complete their education and still play football at an elite level. If they do eventually move abroad they will be more mature and, hopefully, be better prepared to handle the situation. St Kevin’s Football Director Ken Donohoe said: “We at St Kevin’s Boys Club are delighted that this strategic partnership has been agreed. “It is an opportunity for both clubs to further grow and present a clearly defined pathway for coaches and elite players from the youngest age groups at foundation level right through to the SSE Airtricity League Premier Division and beyond using the expertise within both clubs that have made them so successful in their respective spheres up to now. 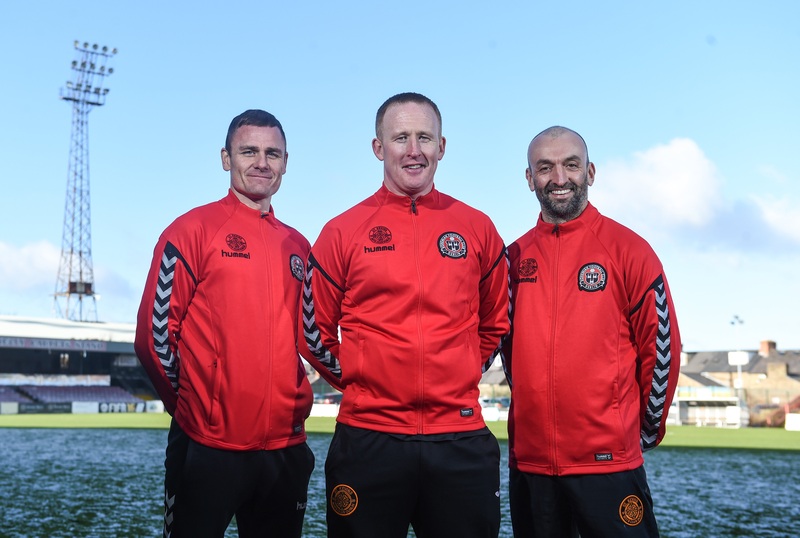 “The complementary nature of this partnership will be unmatched as the full weight of experience of nearly 60 years that SKB have gained at schoolboy level is aligned to the tradition of one of the giants of League of Ireland football in Bohemian FC. “Both clubs have a strong history of developing some of the finest players that the country has produced. This partnership will only enhance that and it will create opportunities for players from both clubs to maximise their potential in a highly professional and competitive environment. “St Kevin’s, like Bohemians, also provide football for as many players as possible regardless of ability outside of elite level and both clubs are committed to continuing that policy. “We would like to take this opportunity to wish Keith Long, his staff and players the best of luck for the coming season and we are sure that the young players currently at U19, U17 and U15 will very soon be pushing to be a part of the Bohemians first-team squad. Photo 1: Bohs/St Kevin’s management team of Glen Byrne, Ger Browne and Greg Donohoe.